"Summer Paradise" Emerald Bay- Lake Tahoe, CA. I had to climb down into the cliffs to get a different perspective of Emerald Bay with the amazing Lenticular Clouds in the background. Lenticular Clouds are very unique and only form in a few mountain ranges in the world. 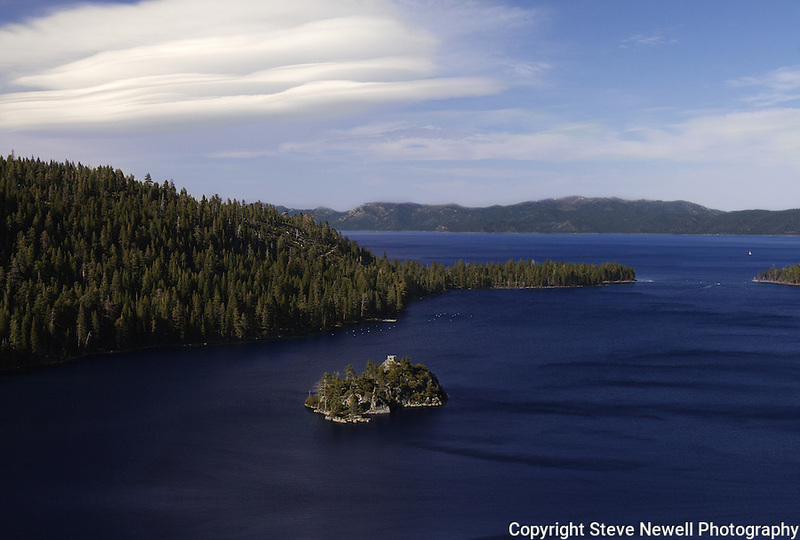 A lone sailboat can be seen out in front of Emerald Bay. Sailing is a special experience on Lake Tahoe and comes highly recommended.